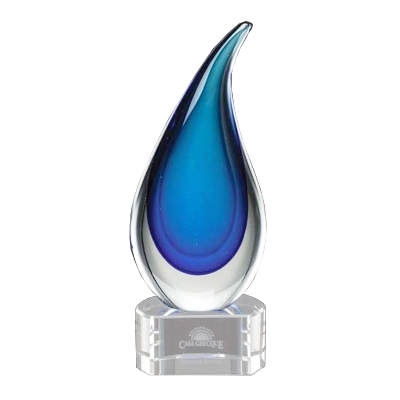 The Blue Flame award is a beautiful art glass award option that displays wonderfully in both a corporate and home setting. Your custom text and/or logo are laser engraved on a black and silver plate. Each piece is unique! Due to the handmade nature of this piece, colors and sizes will vary slightly.